NEAT & CLEAN 3,026 SQ. 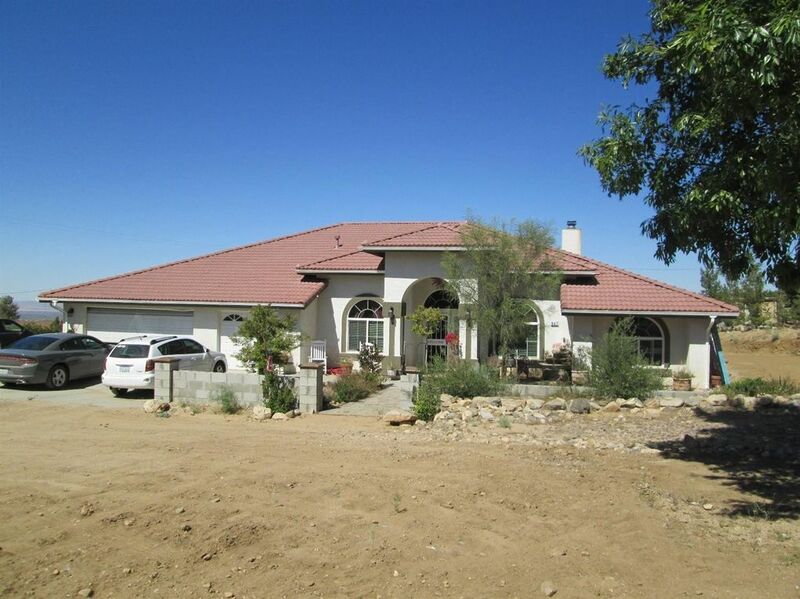 FT. 4 BEDROOM, 3 BATH HOME, CUSTOM BUILT IN 2006, ON FULLY FENCED 1.09 ACRE CORNER LOT, IN QUIET COUNTRY SETTING,WITH PANORAMIC VIEWS OF THE MOUNTAINS, CITY LIGHTS, AND VALLEY, WITH CLOSE FREEWAY ACCESS. LARGE KITCHEN OPEN TO LARGE FAMILY ROOM WITH WOOD BURNING STOVE FIREPLACE, FORMAL DINING ROOM, BREAKFAST NOOK,FORMAL LIVING ROOM, LARGE REC ROOM, TILE FLOORS, VAULTED CEILINGS, MASTER SUITE WITH WALK-IN CLOSET, AND MASTER BATH WITH GARDEN TUB, 2 SINKS, AND WALK-IN SHOWER. FORCED AIR HEAT AND COOLING PLUS TWO WATER COOLERS VENTED INTO HOME. COVERED REAR PATIO, TILE ROOF, STORAGE SHED/WORKSHOP BUILDING, FIRE SPRINKLERS, 3 CAR ATTACHED GARAGE WITH AUTO OPENER, AND DIRECT HOME ACCESS. ROOM FOR RV PARKING, AND HORSES.